A 10-Watt driver used with 24-volt battery systems. This driver has a built in dc-dc converter, causing the pump to be "constant-speed" from 20 to 35 volts. An excellent driver for "off-grid" or "lost-grid" radiant floor zone circulation. Because it is "constant-speed" a zone will not change characteristics, as batteries discharge. The built-in 3rd generation converter exceeds 96% efficiency. By distributing conversion among the zone circulators, instead of one central converter, system reliability is increased; a single failure does not stop all zones. Simplicity of wiring is also improved, as no central converter need be wired. 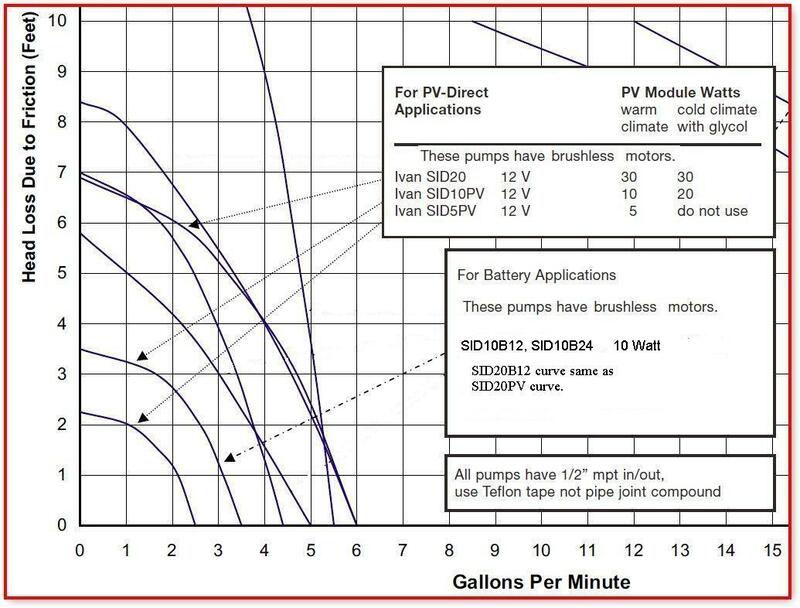 Just fuse each zone pump branch (at the battery) and wire the battery through the thermostat and then to the zone pump. • Radiant floor circulation zone pump. • Max Head 3.5 ft.